Wear our merch, support our work. Are you an L, G, B, T or Q? 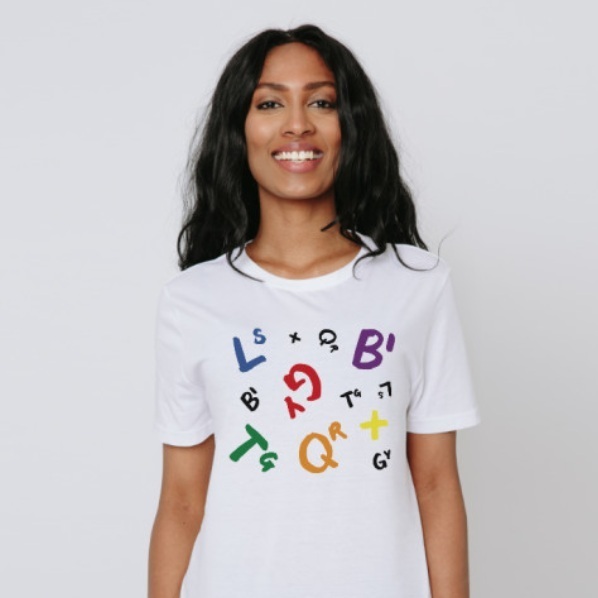 Wear them all with this queer alphabet tee. Our code tees are that perfect combination of queer geek chic that we know you're going to love. QWERTY or QUEERTY? You decide. Type it up, shout it out, wear it with pride. Our Queer Life collection was designed by iamhuman design exclusively for LQC.